Keith Luxon is competing in his 72nd marathon today. A 30-SECOND SILENCE was impeccably observed at the beginning of the London Marathon this morning following the bombings in Boston on Monday. Marathon participants set off at 10am this morning. Many will be hoping for personal bests and to overcome the internal debates that rage in the mind of every long-distance runner. For Keith Luxon, however, making it to the starting line is a victory in itself. The Briton competed in the Boston Marathon on Monday and is still trying to take in the horrendous events that unfolded close to the finishing line, which left three confirmed deaths and more than 100 spectators and volunteers injured. Email “Days after the Boston bombings, this man is competing in London Marathon”. 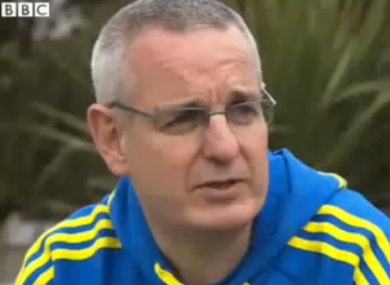 Feedback on “Days after the Boston bombings, this man is competing in London Marathon”.